Obsessive Compulsive Disorder (OCD) is one of the common mental disorders with which youth are being affected. Even though people understand the symptoms of OCD they are not aware how to manage the obsessive thoughts and compulsive behaviors. We present management of a case of young adult Muslim female with religious obsessions and cleaning compulsions by using Cognitive Behavior Therapy. The patient reported to Psychiatry OPD, KGMU with the complaints of excessive cleaning compulsions especially while performing religious rituals since last six years. She was not willing to seek pharmacological treatment, hence was managed by Cognitive Behavoir Therapy which included Cognitive Therapy and Exposure Response Prevention. The 45 minute sessions were scheduled twice weekly for one month and once weekly for the next two months. In addition follow up sessions were also planned. As the therapy progressed, the patient reported improvement in terms of her clinical condition and her general well being. There was 80-85 % improvement according to the patient and her mother. Cognitive Behavior Therapy done by integrating ERP and Cognitive Therapy proved to be beneficial for treating the religious obsessions and cleanining compulsions in a young adult female with chronic OCD but also helped to improve her general well-being. Obsessive Compulsive Disorder, Cognitive Behavior Therapy, Exposure Response Prevention, Cognitive Therapy. American Psychiatric association (2013). diagnostic and statistical manual of cental disorders: DSM-5 (5th ed.). Washington, DC: American Psychiatric Publishing, pp. 237-242. Beck, J.S. (2011). Cognitive behavior therapy: Basics and beyond (2nded.). New York, NY: The Guilford Press. Coughtrey, A. E., Shafran, R., Lee, M., & Rachman, S. (2013). The treatment of mental contamination: Acase series. Cognitive and Behavioural Practice, 2,221-231. Heppert, J. D., & Siev, J. (2016). Treatment of scrupulosity-related obsessive-compulsive disorder. In E. A. Storch and A. B. Lewin (Eds. ), Clinical handbook of obsessive compulsive and related disorders (pp. 39-54). A case based approach to treating pediatric and adult population. Himle, J. A., Chatters, L. M., Taylor, R. J., & Nguyen, A. (2013). The relationship between obsessive-compulsive disorder and religious faith: Clinical characteristics and implications fox.treatment . Spirituality in Cli-nical Practice, 7(S), 53-57. Huppert, J. D., & Roth, D. A. (2003). Treating obsessive-compulsive disorder with exposure and response prevention. The Behavior Analyst Today, 4(1), 66-70. National Institute of Mental Health (NIMH) (2016). What is obsessive-compulsive disorder (OCD)? U.S. National Institutes ofHealth (NIH). Rajashekharaiah, M., & Verma, P. (2016). 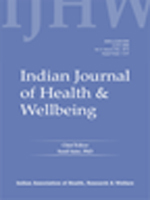 Phenomenology of obsessions and compulsions in Indian patients. International Journal of Contemporary Medical Research, 3,2139-2143. Thompson-Hollands, J., Edson, A., Tompson, M.C., & Comer, J. S. (2014). Family involvement in the psychological treatment of obsessive-compulsive disorder: A meta analysis. Journal of Family Psychology, 28(3), 287-298. Vidal-Ribas,P., Stringaris, A., Ruck, C., Serlachius, E., Lichenstein, P., & Mataix-Cols, D. (2015). Are stressful life events causally related to the severity of obsessive- compulsive symptoms? Amonozygotic twin difference study. European Psychiatry, 30, 309-316.
WHO (2007). International classification of mental and behavioural disorders, clinical descriptions and diagnostic guidelines (ICD-10). AITBS Indian edition 2007. Wortmann, F. (2012). A memoir of obsessive-compulsive disorder. New York: St. Martin's Press.